Could Thistle be the best of Myrtle Beach’s gems? The ninth hole of the Stewart nine was our most memorable hole at Thistle. 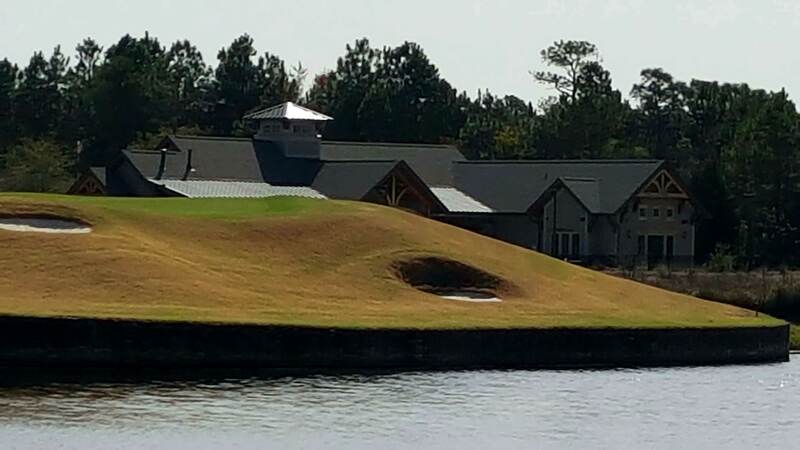 SUNSET BEACH, North Carolina – I’m frequently being tipped off about “hidden gem’’ golf courses. They’re in all parts of the country and are said to be great courses that are off the beaten path enough so that many golfers don’t know about them. The last such course brought to my attention was Thistle Golf Club, a 27-hole facility that opened in 1999. Whether it fits the “hidden gem’’ category is a matter of opinion. Without doubt it is a gem. We will get to that later. Hidden? I’m not so sure. Granted it is a bit separated from the heart of Myrtle Beach, the American golf mecca. Thistle isn’t even in the same state. You have to cross state lines to get to Thistle, though it’s barely into North Carolina. From that point it might be considered “hidden,’’ but a lot of golfers seemed to know all about it on our early-March visit. We had an 8:30 a.m. tee time and the parking lot was already buzzing when we arrived a half-hour ahead of that. Thistle is an interesting place. All 27 holes were designed by Tim Cate, a staunch Myrtle Beach guy. He’s not widely known beyond that area, and Thistle is not his best known creation within it. An architect’s profile, however, isn’t what determines course quality in the end. It’s what the players of all abilities think, and they clearly liked Thistle during our visit. Cate’s first design was Panther’s Run, at nearby Ocean Ridge Plantation. Since then Cate designed three other courses at that location. His best known courses are, like Thistle, just across the North Carolina line. Leopard’s Chase was Golf Digest’s Best New Course in America in 2007 and Tiger’s Eye has been included in Golf Digest’s Top 100 twice. A welcoming atmosphere is one of the things that make Thistle a special place. Thistle, though, is something else. It has three nines – the Stewart, the MacKay and the Cameron. They are used interchangeably to set up 18-hole rounds. We played the Stewart and MacKay. The two longest nines – MacKay and Cameron – would not quite create a 7,000-yard course. They’d be three yards short. Still, we found a well-conditioned, well-run facility that offered an unusual mix of holes. The Stewart nine had three par-3s and two par-5s and there was a stretch of four holes (Nos. 3-6) without a par-4. All the nines have five sets of tees and are basically equal in difficulty. MacKay/Cameron has the highest rating (74.3) but Cameron/Stewart has the top slope (138). 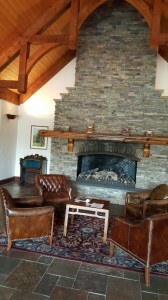 You get a warm and friendly feeling inside the Thistle clubhouse. There are other noteworthy items at Thistle, starting with the scorecard. It claims the facility has roots in Leith, Scotland in 1815. That’s a stretch, but the very pleasant clubhouse has some interesting historical relics and it’s obvious that Cate wanted the holes to have a Scottish feel just like the clubhouse. The atmosphere inside is very friendly, especially in the dining area. A real touch of class, though, came in the men’s lockerroom, where a flat-screen TV carried The Golf Channel above every urinal. I had never seen that before. If Thistle is really a “hidden gem’’ it shouldn’t be. 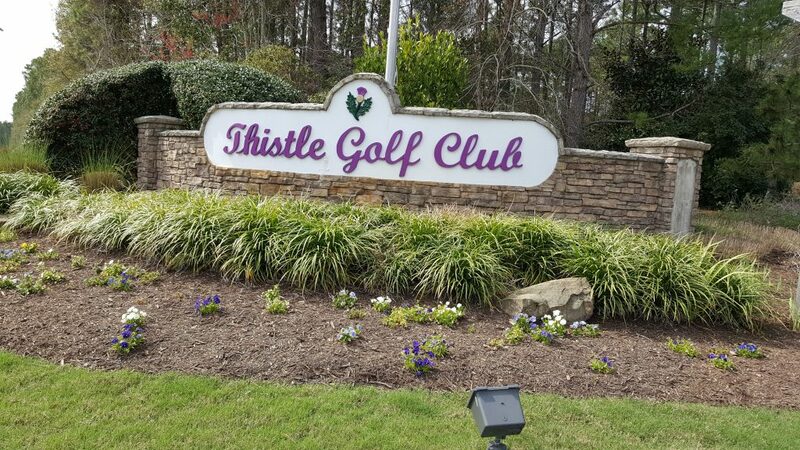 Thistle has a special feel and is well worth driving a few extra miles if you make a Myrtle Beach visit.